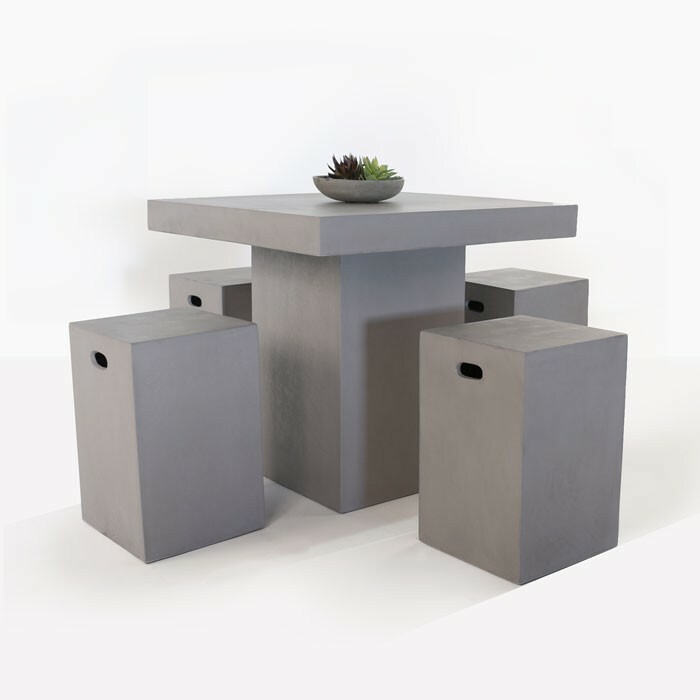 A spectacular counter-height concrete outdoor furniture collection, perfect for those entertainment spaces that will thrive with the addition of contemporary lightweight concrete. 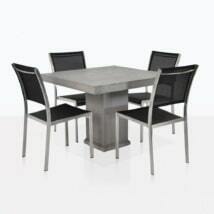 The Raw Concrete bar-style dining set is a perfect blend of shapes and materials that brings a certain edge to your outdoor space and gives your guests a perfect place to socialize and enjoy drinks throughout the evening. 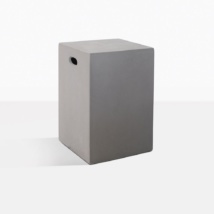 This lightweight concrete outdoor furniture is half the weight of solid concrete, but maintains the great look of concrete in a bar format that is the centerpiece of outdoor living. Four box style concrete (counter-height) barstools and a square top pedestal type concrete table make up this versatile set. 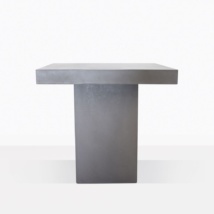 This gorgeous outdoor concrete counter-height bar set has a smooth, cool, concrete look, and concrete functionality you won’t find in any other set on the market.